Hello! How are you guys?! I feel like this week has been crazy, and kind of on fast forward yet slow at the same time! Ekk, is that even possible! Haha! 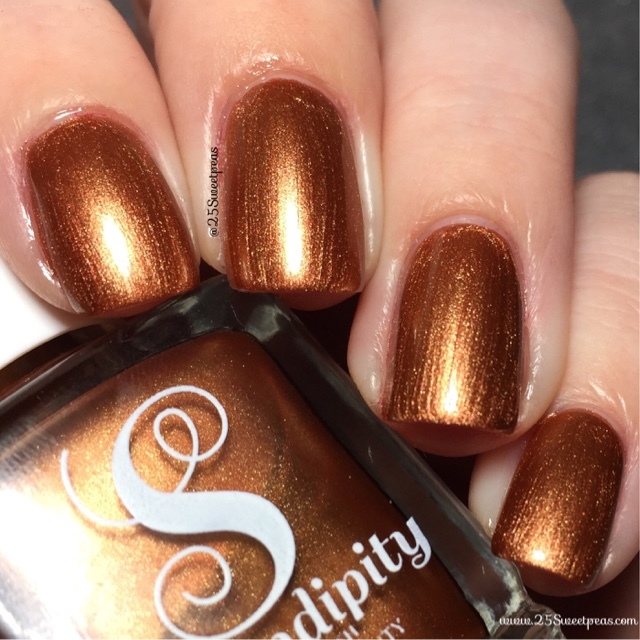 Well today is a good day because well Serendipity Nail Polish has released brand new polishes! Like they are available now! :) Also today is the day the Red Cups come out and there is a holiday drink bogo at a certain time so woo hoo!!! I think we all deserve a polish and coffee treat today! What do you think? 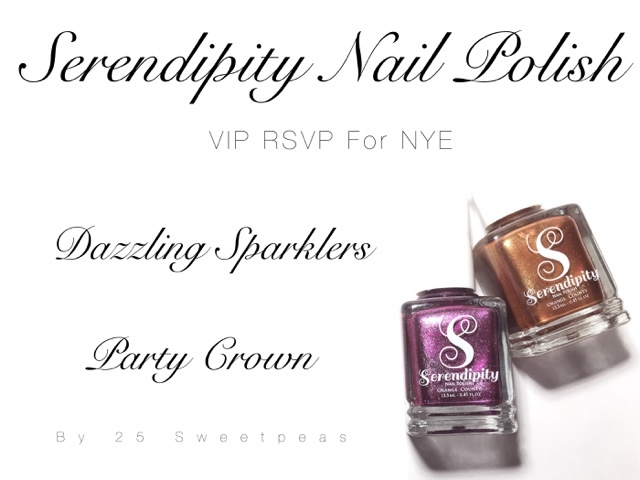 First up is Dazzling Sparklers! 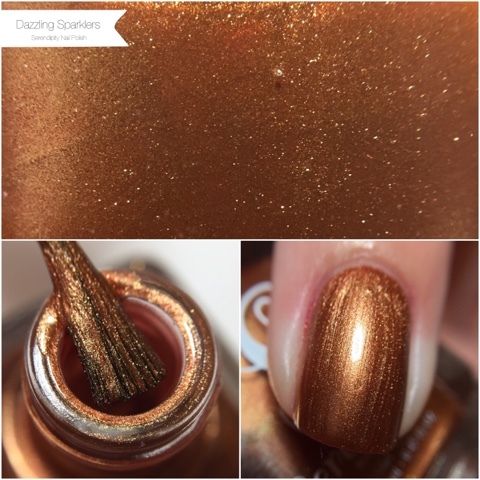 This is like the perfect copper polish. 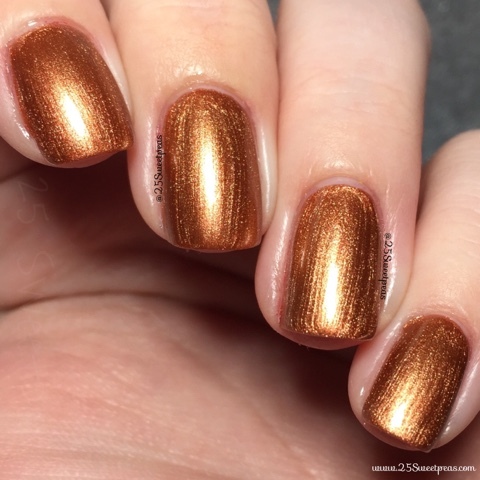 I wasn't sure I would like copper nails, but the more I am wearing it the more I am liking it! Plus ya know with it being a Serendipity and all the quality is great! 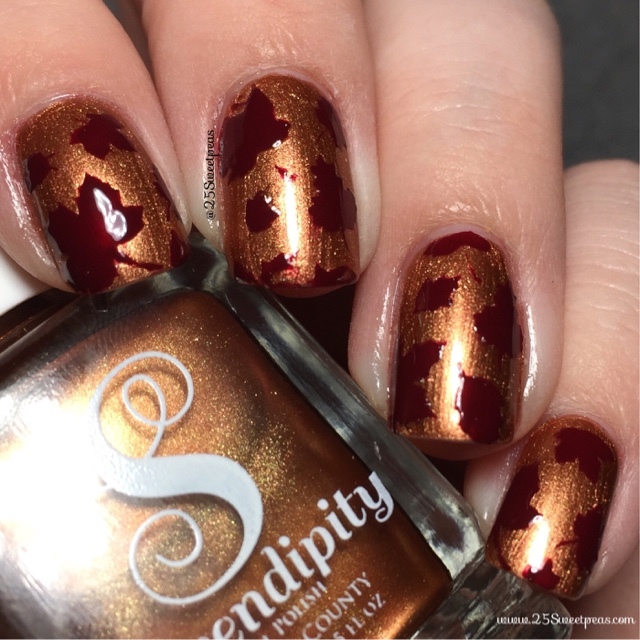 The formula was a bit thin compare to most Serendipity polishes but 2 coats that leveled really nicely. :) You do have to be a bit careful on your last coat with brush strokes. Its not too bad but you can see it a bit! Now we have Party Crown! Oh how I love this! Its like the perfect metallic/foil purple. One coat and I mean you can't get that with most polishes like this. 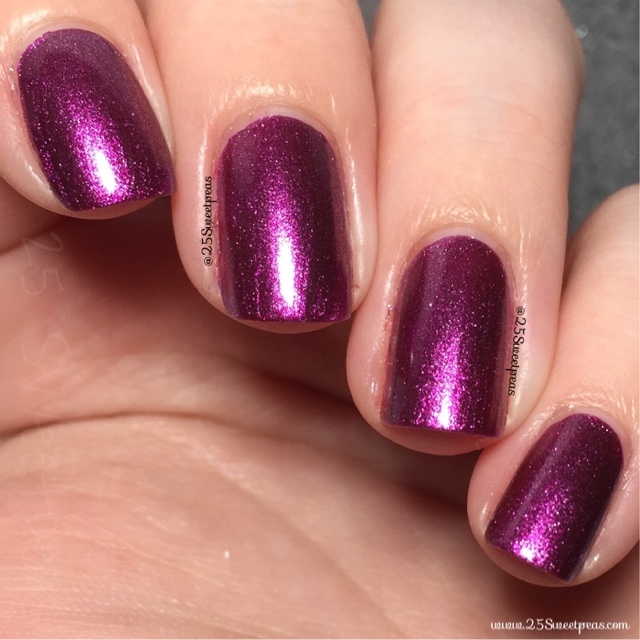 I am kind speechless, I was not expecting a polish with this finish to be SO good. Usually they need at least 2 coats, but NOPE! 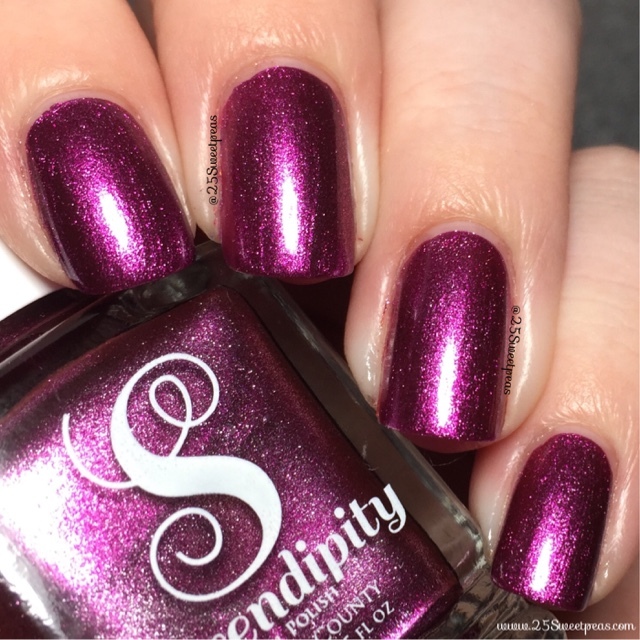 Serendipity somehow created the perfect purple foil/metallic polish! Eppp!! Very excited! I am really just loving this! What about you? It this one on your list!? Next up we have some art. I used Serendipity Less Whine, More Wine as the leaves. 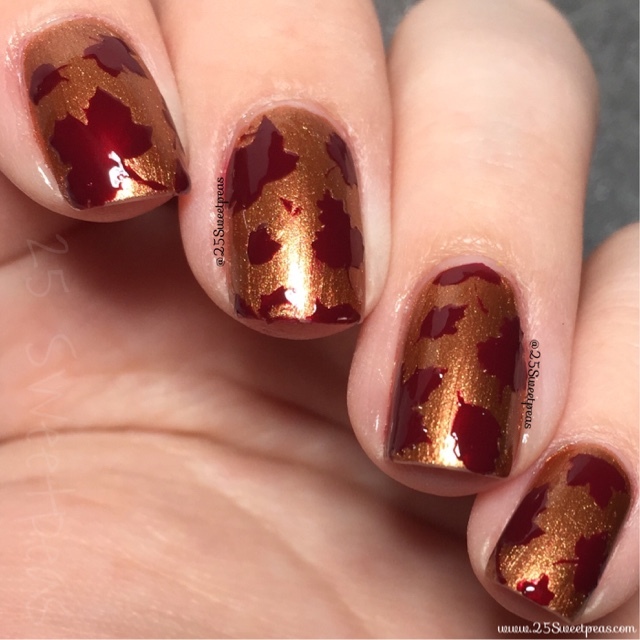 To get the leaves I used a fall Vinyl by Snail Vinyls. Well thats it for today guys! The rest of the swatches for this line will be coming very soon! I hope you all have enjoyed this post.